Hibiki listens to the girl speak while he studies the cards. The information that she gave him earlier starts to ink in. His eyes widen briefly as he starts t understand the game. "Let's watch a few games." He wouldn't let her find out about his "talent." She nodded. "I believe we should watch Estuko play. She's rather amazing!" She said and smiled. This was going to be great. There was no way he could become as good as Estuko but she had faith in him. Did she know more than she let on. Hibiki bites his lip. He had to hide this better. She walked over the match and sat in her knees. "Please give us this honor watchinhg you play." Etsuko waved her hand saying itbwas fine. Hibiki sits on his knees and bows. He silently watches the game. Etsuko moves her hair behind her ears and listens for the sounds that are created by the sound of the reader's breath. Before the first syllable is even said she flicks her hand toward a card and it goes flying. Her opponent barely had enough time to react to her moving. "Th-" It was said and then she stood up, grabbed the card before returning to her spot. Her opponent was very surprised by her ability though most shouldn't be since she had been here for years. He must have been new. Hibiki's eyes scan everything. He notces hoe Etsuko used the reader's breath to find out what he was going to say. Hibiki shiver's slightly. He hated doing that, but was it nessicary? He continue's to watch. He knows that one thing for sure is that he wouldn't need to work on the "flick." After sometime the game had came to an end. She won by a 25 card lead. It was easy for her, most of the people she was matched against were still pretty new, they always sent her first to show them how real Karuta was played. She stood up began walking across the mats. Red marks were very noticeable. Under those red marks were years of Karuta built up into tough skin. She couldn't feel the pain anymore, the callouses prevented that. She looked over to Hibiki after she made it half way across the room. The next words uttered were those of feminine strength, "You have one week." With that she walked off. A lazy smile was plastered on his face. "Oh? A challenge?" He looks over at the little girl. "Teach me how to play, what's-your-face." He stands up and goes over to the mat they were originally at. The girl nodded. "Do you know any of the Ogura Hyakunin Isshu?" It was completely important to know them. You didn't need to know all 100 throughly but at least the first few syllables. Etsuko knew them so well she could recite them line by line. "I know none of them, but I could learn them in about..." He counts on his fingers. "Tonight, tops." "Good. First we will work on clearing of the mind." She sat down and took a deep breath. "Forget all reason and relax." "I can't do that, otherwise I....." He begins nodding off. He falls onto his face and begins snore-purring. She began laughing. She patted his back to wake him up. "Fine, hahah I'll let you go early so you can begin studying the cards." Hibiki opens his eyes and yawns. "Okay....Can I have the cards?" He gets up and rubs his eyes. She nodded and ran to a storage closet and grabbed a set of Torifuda cards and a set of yomifuda. "Have someone read these to you." She pointed to the set of cards with pictures of poets on it. "Its fine, I can read them myself." He takes the cards from her. She nodded and smiled. "See you tomorrow. We will go over the types of card placements tomorrow." She said and waved him out. He waves at her and leaves, going to his house. "Time to study these." 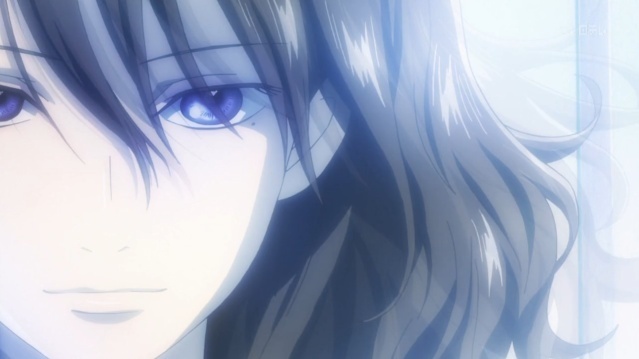 The girl waited for Hibiki to arrive at the society. She had watched all of Estuko's matches. She wanted to be like her but she also wanted to help Hibiki to get her attention a little. Hibiki opens his eyes. "What happened...?" Suddenly his mind is filled with poems. It worked. He smiles and stands up. It's time to go. She looked at her little watch. It was taking him an awful long time to get here. She still had to go over everything with him. Hibiki runs up to the little girl, out of breath. "Sorry, I overslept." He puts his hands on his knees and gulps in air. She patted his head. "That's alright. Let's just hurry back in. They already started a match." She quickly left leaving him there gulping for air. "Wait for me" He follows her. "I never got your name."